Jon M. Chu's new film bows next week, and features the requisite music and dancing his "Step Up 2" and "Justin Bieber: Never Say Never" fans want to see. Warner Bros.’ sumptuous adaptation of bestselling novel “Crazy Rich Asians” impressed most early critics, who also regretted how much weight will be placed on its box-office performance. Not since Rob Marshall–helmed “Memoirs of a Geisha” (2005) has there been a studio film centered on an Asian cast, while 1993’s “The Joy Luck Club” was the last one set in modern times. Jon M. Chu’s jet-setting and heartrending multigenerational spectacle is currently rated 100 percent fresh on Rotten Tomatoes. Constance Wu and Henry Golding star as courting NYU professors who fly to his native Singapore to attend a wedding. Throughout their journey, she learns that his kin has millions to spare, and a stern mother (Michelle Yeoh) pressuring him to return home, run the family business, and find a partner with a similar-sized inheritance. “The Proposal” veteran Peter Chiarelli penned the script with former “Private Practice” EP Adele Lim. Kevin Kwan — who wrote the book and its two sequels — executive produced with Nina Jacobson (“The Hunger Games” franchise), Brad Simpson (“World War Z”), and John Penotti (“Brad’s Status”). Netflix jockeyed to distribute the entire trilogy, but the filmmakers went with a traditional studio, hoping their project would have a bigger cultural impact, and inspire Hollywood executives to view inclusive storytelling as not risky but necessary. 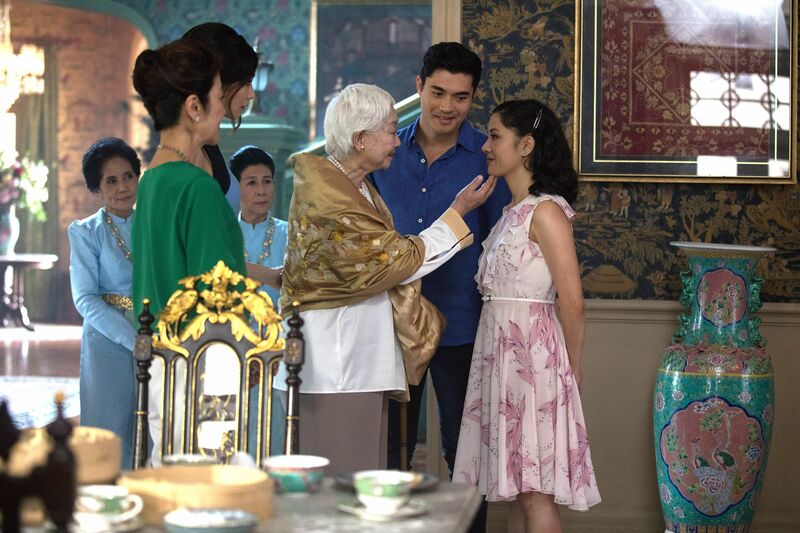 Warner Bros. will release “Crazy Rich Asians” this Wednesday, August 15. This Article is related to: Film and tagged Crazy Rich Asians, Jon M. Chu, Warner Bros.